New Revelations Link FBC Media To BN's Dirty Tricks Blogging Campaigns - Latest Expose! Sarawak Report has already exposed how BN’s leading political figures, including Najib Razak, Abdullah Badawi, Musa Hitam and Taib Mahmud, paid the UK production company FBC Media to illegally gain positive publicity on global TV news shows. We can now reveal an even darker side to this campaign. The same contracts also included a series of negative blogging campaigns targetted against BN’s political opponents. All these dirty tricks have, of course, been conducted at the expense of the Malaysian taxpayer! Sarawak Report has exclusive details of the contract agreed between FBC Media and Abdul Taib Mahmud, which includes a commitment to mastermind a cyber-war against online critics of the Chief Minister’s corrupt government, such as this blog. In a letter to the Chief Minister in January the Chairman of FBC Media, Alan Friedman, pledged to “assist in countering false and negative perceptions that have been spread at home and abroad” and stated that he had “the tools and international experience to make a genuine and visible difference“. The tools outlined by Friedman were “television reporting and an interview with yourself plus press tours and online sites and special blogging that should provide a blanket of positive messaging about you and Sarawak to the Western media“. FBC would then work to “bounce back” into the Sarawak Press “this international recognition, thus bringing positive results for the people of Sarawak to see” . In other words he was proposing to cheat people in Sarawak with his manufactured publicity (funded by taxpayers) into thinking the world was impressed by Taib! In his attached contract proposal, which amounted to a staggering $5 million for the first year alone, Friedman allocated $55,000 (RM165,000) per month just to the blogging operation. For this he was providing “Online digital strategy and blogging, site creation and management, blogging and articles, video reports on line”. For another RM 138,000 per month Friedman added “in-bound press and blogger visits, press, foreign visit support, interview placement, writing, disseminating, media training, media analysis, mapping” services! 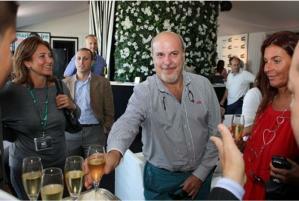 One month following Alan Friedman’s contract agreement with Taib Mahmud a new blog appeared …. called ‘Sarawak Report(s)’ ! 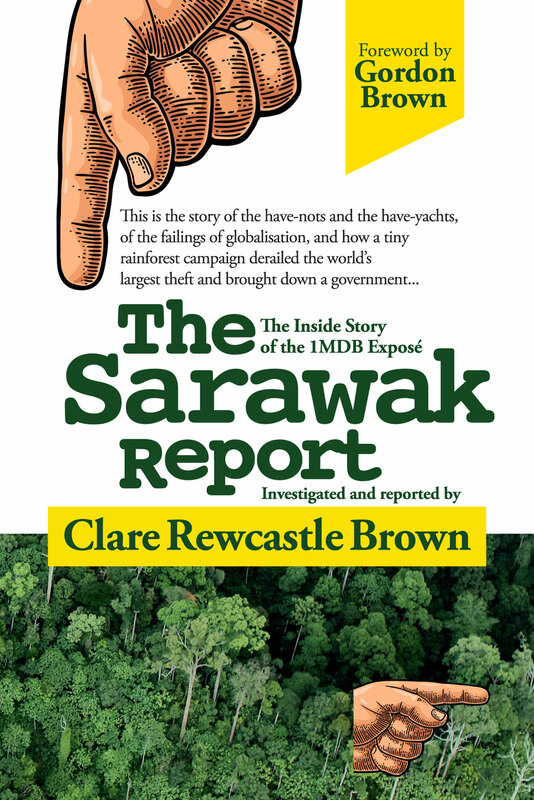 This blog was clearly dedicated to trying to attack and criticise the genuine Sarawak Report, which has for the past year been investigating matters to do with the Bakun Dam, timber, mining, palm oil and also the major corruption in Sarawak. The new blog turned out to be a classic dirty tricks operation. It did not attempt to counter the investigative work of Sarawak Report, but instead tried to discredit the authors of the blog with defamatory accusations. 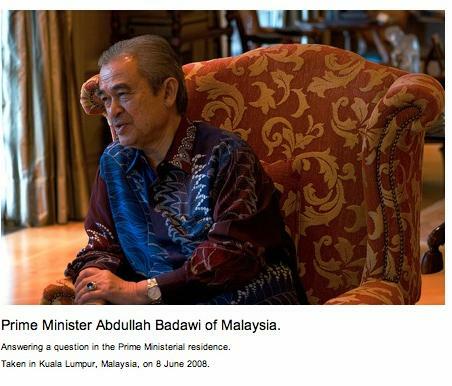 The new blog also (as promised by Friedman) carried on-line video reports, including ‘an exclusive interview with Taib’, as well as a number of articles ‘bounced back’ from the ‘Western media’, also attacking Sarawak Report and praising Taib. These bounced back articles had been originally been posted in an obscure US website called New Ledger, which is an off-shoot of the aggressive Republican blog, Red State, run by the right-wing ‘tea party’ blogger, Josh Trevino. Sarawak Report has already established numerous links between New Ledger and similar dirty tricks accusations against Anwar Ibrahim [SEE OUR DIRTY TRICKS COVERAGE]. Given that we know that Najib Razak has also taken out a contract of over RM 28 million a year with FBC Media to perform the same kind of ‘Global Strategic Communications Campaign’ as Taib, we believe it is fair to suggest that the connection is more than coincidental! The Texas-based website, allegedly targeted at right-wing Americans has an inexplicable focus on Malaysia - unless that focus is paid for? 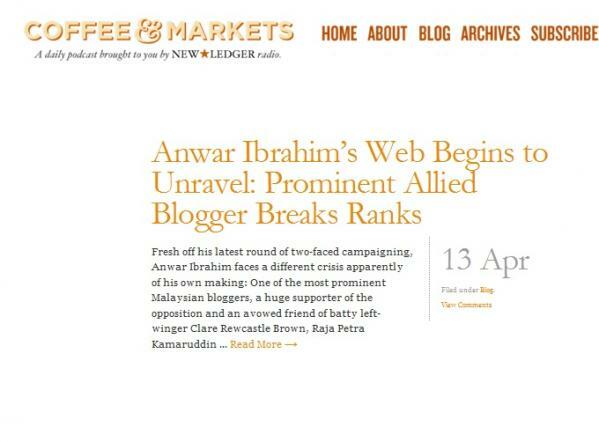 These attacks on Anwar Ibrahim in the same New Ledger blog-site have likewise been bounced back into suspicious local blogs, such as Malaysia Watcher, and fed back into the BN controlled local press, in order to give the impression that they reflected opinion in the US. As we have pointed out in previous reports on dirty tricks, the same handful of obscure American bloggers have been the authors of all these attacks in the two sets of blogging operations and they are all linked to Red State’s Josh Trevino. We challenge Alan Friedman and his colleagues at FBC media to deny that their contracts with the Sarawak State Government and the Malaysian Government are linked to the defamatory accusations that have been made against Anwar Ibrahim in these blogs. Those accusations have been designed to give American readers the impression that Anwar is linked to Muslim terrorism, anti-semitism and indulges in perverted activities. They constitute the lowest form of political dirty tricks and have been unwittingly paid for by Malaysian taxpayers as BN attempt to destroy Anwar Ibrahim’s good standing in the West. So, we also challange Najib and Taib to deny to tax-payers that government funds have been abused in order to pay for a nasty dirty tricks campaign against their political opponents! 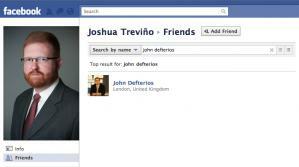 Public evidence corroborates our information about Josh Trevino’s links with FBC Media. It also undermines attempts by the bloggers, such as Christopher Badeaux, to claim that the attacking articles are just volunteer work. “New Ledger …….. is a private company, and does not and has not taken any money from any politician, political party, or political party member, from any country, ever. Its only revenue is — and since its inception, has been — advertising revenue” [Christopher Badeaux, New Leger]. Mr Badeaux, who says he is never paid and is just flattered to see his splenetic writings featured in New Ledger, may well be speaking the truth. In which case he is doing the work for which others are receiving Taib’s $55,000 a month and much more on top for the work commissioned by the Malaysian Government ! What about fellow New Ledger blogger Rachel Motte, whose articles are frequently reproduced on Sarawak Report(s) attacking this blog? She admitted to having been given a new job in Malaysia and was tweeting on 27th March that she was doing things for J Trevino. 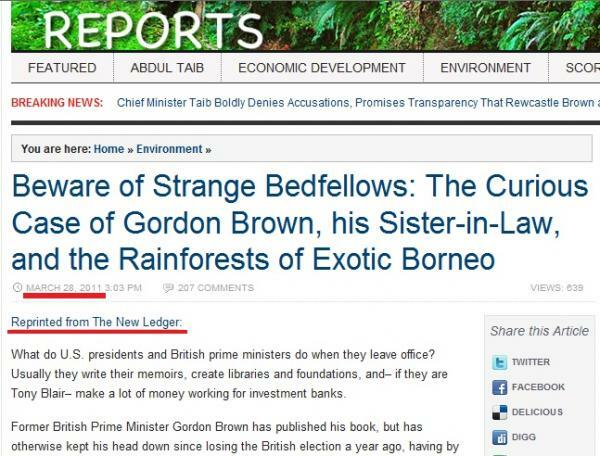 The next day an article attacking Sarawak Report and the former British PM Gordon Brown duly appeared in New Ledger and was then “bounced” into the commissioned Sarawak Report(s). We can demonstrate that Trevino is behind these bloggers and that he has clear links with FBC Chairman, Alan Friedman, who is contracted to provide blogging servides to Taib and Najib. The blog New Ledger is headed by Josh Trevino’s colleague, Ben Domenech and Brad Jackson, who is alsoTrevino’s ‘Senior Colleague’ in his separate PR company, Rogue Strategic Services (formerly called Treveno Strategies and Media). Trevino Strategies and Media have certainly been doing business in Malaysia – as his own website made clear. 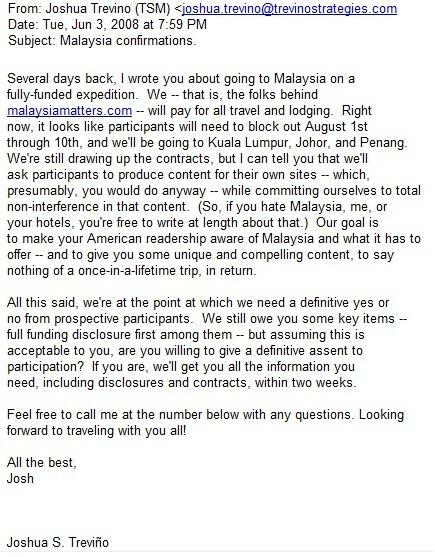 In 2008 someone "behind" Josh Trevino's blog Malaysia Matters was willing to pay for an all expenses trip for 20 US bloggers to come out to Malaysia and feature it on their blogs. Does such an offer not remind of the contract proposal to Taib, which included large sums of money to pay for blogger visits to Sarawak? Can Trevino really claim that all his interest in Malaysia is purely based on voluntary observations? Politico reported that in the end Josh Trevino was never able to satisfactorily explain the source of his money for the trip. However, he had assured bloggers that it was not government-funded…. 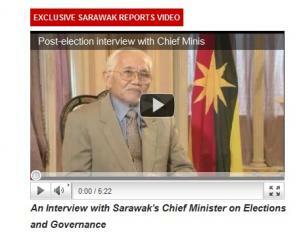 except that because Malaysia is not really a democracy, he acknowledged that these things are never clear-cut! Yet, despite such admissions about corruption in Malaysia, Josh Trevino has continued to passionately support the BN government and attack the PKR opposition, which has been calling for reform. 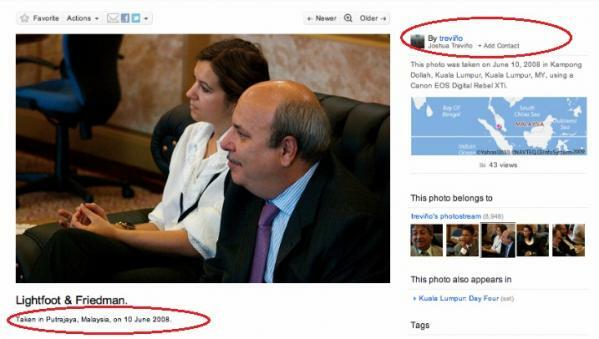 Sarawak Report’s information from people close to BN that Josh Trevino has been employed to run the blogging operations specified in the FBC Media contracts with Sarawak and Malaysia is further backed up the evidence of his own on-line photo-album ! Josh has shown to the world how he and FBC’ Alan Friedman and an FBC colleague, Emily Lightfoot were gathered together at Putrajaya in June 2008. Me and Alan visiting the seat of Government in Malaysia - what could we have been up to there together? 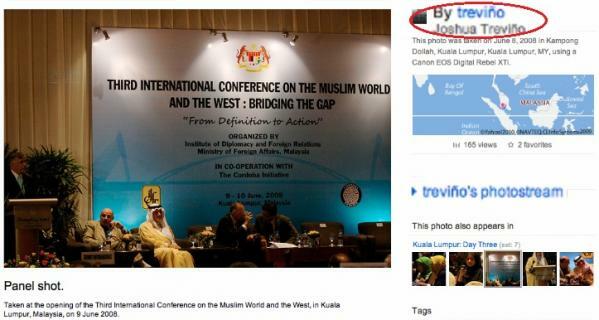 Indeed Josh has also posted plenty of other pieces of evidence on the web, which prove his involvement in reporting on the Malaysian BN government and links to FBC’s Global Strategic Communications Campaigns, which have been costing the Malaysian taxpayer over RM28 million a year since they were first commissioned under the government of Abdullah Badawi. There is also plenty of evidence of his close relations with the managers of FBC Media. Josh Trevino has also joined press tours with his fellow blogger on the Malaysia Matters website, Joe Armstrong, to interview Prime Minister Badawi. His gushing article bragged that the Prime Minister had made him breakfast and he took several pictures of his visit and then posted them on the web. 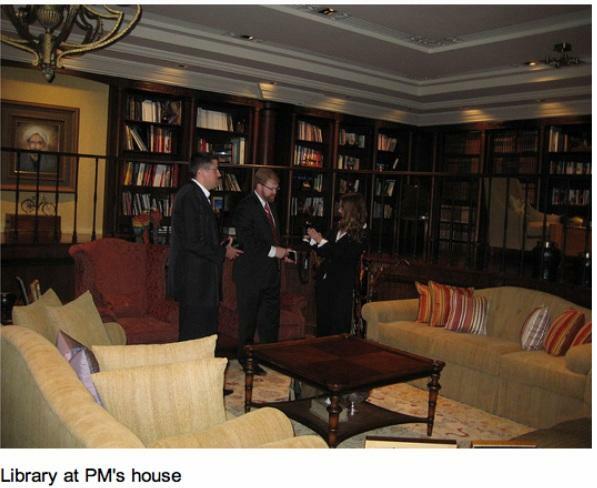 He photographed Badawi himself, Badawi’s residence and was himself pictured in Badawi’s library. Josh Trevino’s on-line albums and on-line blogging indicate far more than a outside American’s interest in Malaysia. The evidence is that Josh’s trips were paid for and that he and his blogging and strategic communications campaign have been employed as part of the FBC Media contract to promote Malaysia’s BN government and defame its opponents, specifically Anwar Ibrahim in the United States. Does this mean that Josh Trevino’s blogging activities, centred around such vehicles as Red State and New Ledger, are in fact just a ‘platform’ for his ‘strategic communications’ business, now conducted under the name of Rogue Strategic Services? If so, Trevino could not have chosen a more appropriate name for his business ! FBC Media and Josh Trevino have certainly coincided on bringing coverage to a number of the Malaysian Government’s pet projects. 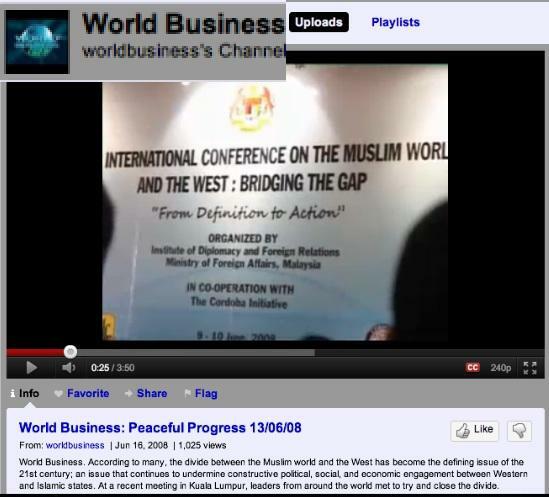 One of these is the Global Movement for Justice Peace and Unity, supported by Najib and designed to promote Malaysia as a moderate Muslim country. The press coverage of this February 2011’s Conference of the movement in Istanbul was organised by FBC Media. 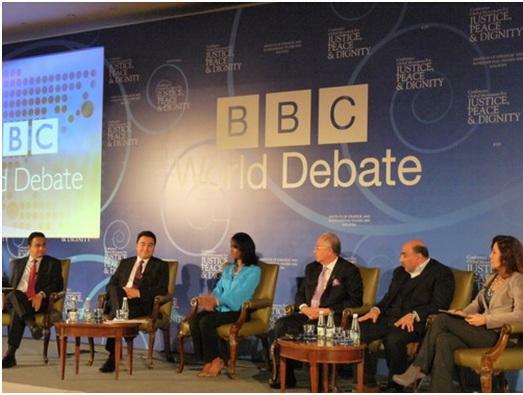 BBC World featured the conference in its programme The World Debate, hosted by Zainab Badawi – the co-producers of that show were FBC Media. Naturally, FBC Media’s World Business show also covered the conference for CNBC. So did Josh Trevino! 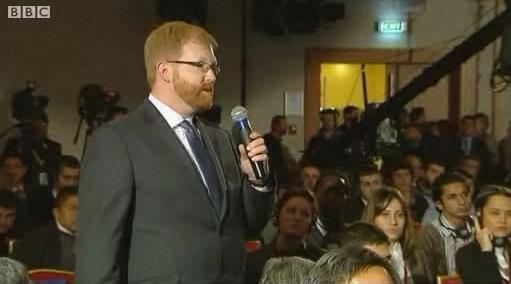 Josh Trevino had also again travelled out to cover the event and to participate in the audience question times. His contribution was uploaded onto Youtube for people to experience and he wrote about his personal interview with Najib Razak (whom he portrayed as a moderate democrat) at the conference for the UK’s Guardian Newspaper! Another event attended both by Trevino and FBC Media, was the Malaysian Government sponsored 3rd International Conference on the Muslim World and the West, hosted in KL. Both Trevino’s Malaysia Matters and Alan Friedman’s World Business Programme (produced for CNBC) featured the event and interviewed the head of the Cordoba Initiative Feisal Abdul Rauf. Trevino likewise enthusiastically covered the event for Malaysia Matters. However, later his involvement clearly created some embarrassment for the arch-Republican, when the Cordoba initiative outraged many Americans by suggesting a mosque should be built at the site of 9/11’s Ground Zero! Trevino, who trades on the Islamic threat in his Republican websites, has resolved the conflict by drawing attention to the fact that he had been disgusted by the ‘anti-free speech’ sentiments of all the Muslim speakers at the KL conference, apart from those of the moderate Malaysians who were funding him! Not for the first time the anti-Muslim, right-wing blogger has had an interesting intellectual job on his hands in order to square his income with his output. Josh was there, but later tweeted that he was disgusted by some of the speeches by Muslims.